Don Mardak's "An Adventure in Mysticism" is a fictional story with deep spiritual principles. It is the first book in Mardak's Grand Circle series. The book is broken in to two parts. The first part follows the main character Eric as he moves along his spiritual journey in search of "Truth." This part of the book is part fantasy, part suspense, with lots of spirituality and humor thrown in. 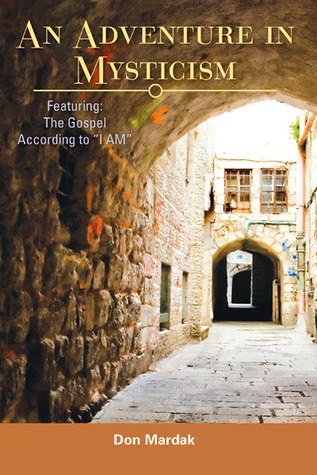 The second part of the book is "The GOSPEL According to I AM." This portion of the book has more of an academic feel to it with lots of Biblical references. While reading this book, I felt like I was getting a very dynamic experience. I was entertained, I was laughing, and I was thinking/reflecting. In part 1 of this book, Mardak gives you a light-hearted, approachable take on spiritual growth, broadening the accessibility of the topic. I know many of us are interested in spiritual growth, but are turned off by dense, stuffy books. "An Adventure in Mysticism" is the remedy. Readers will think about things differently after reading the book. This is a must-read for anyone interested in spiritual growth. Fortunately for eager fans, the next book in the series, "Armageddon and the 4th Timeline," is available now.